Georgia is pressing ahead with construction of a giant new port that it believes will prove a crucial lynchpin on new Asia-Europe routes emerging in the wake of China’s One Belt, One Road infrastructure drive, yoking the world’s most populous nation to countries all the way to Europe. The former Soviet republic has handed a $2.5bn contract to Anaklia Development Consortium, a joint venture between Georgia’s TBC Holding and Conti International from the US. 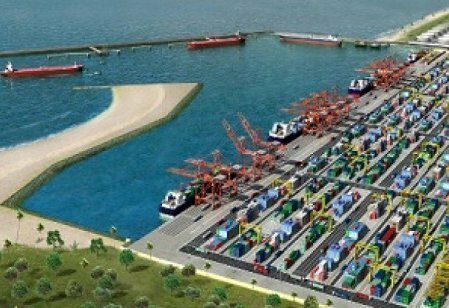 The three-year construction of the port at Anaklia will start later this year. Once complete the Black Sea port will be able to handle 10,000 teu class boxships and process up to 100m tons of cargo a year.